We know that you take satisfaction in where you live, so we take satisfaction in our work, and strive to ensure that your house is cleaner, happier place to be when we’ve done our job. 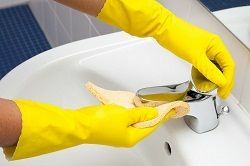 We’re positive you’ll be so blown away by the efforts of your cleaning team that you’ll never use another professional home cleaning company again – so why not call us today, and relax whilst we provide you with the best cleaning service money can buy. We really will make your home the best it can be. Call now on 020 3397 9082 for a free quote – you’ll be able to start planning how you intend to spend all your added free time immediately!